The most suitable complete 2-5 T/h pellet project is your best choice. GEMCO offers you diversified choices. 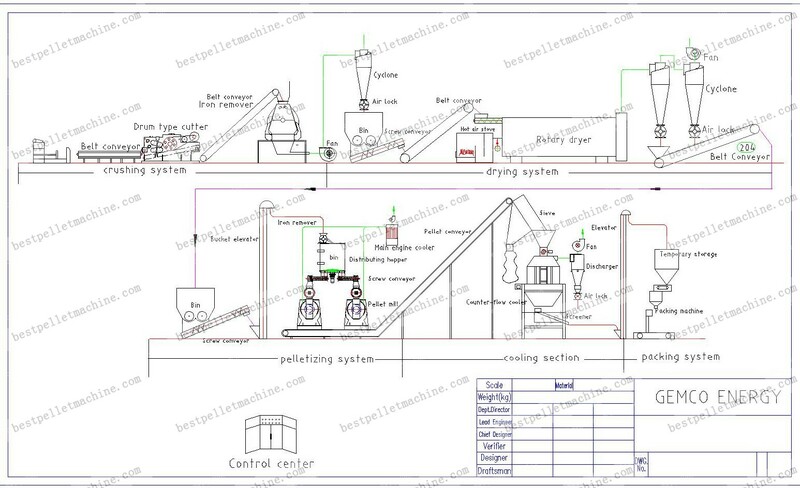 If you are planning to build your own wood pellet plant, we strongly recommend that you choose this project, since: this is the most popular pellet production configuration. GEMCO wood pellet plant greatly reduces the production cost, the whole production line adopts special high quality materials and advanced shaft driving device, the key parts adopt high quality alloy steel adds wear-resisting material, prolong service life of 5 to 7 times, greatly reduced the production cost and expenses. As an experienced biomass pellet plant manufacturer, we have a lot of successful cases (More details please see our Projects). The capacity is 2-5 tons/hour to meet most customers’ requirement. The equipments are easily set and customized. It can save your space (<1600m2), and easy to control dust. Cleaning equipment, electronic control system, cooling system for the ring die pellet mill, cooling systems for ventilation, dust collector.